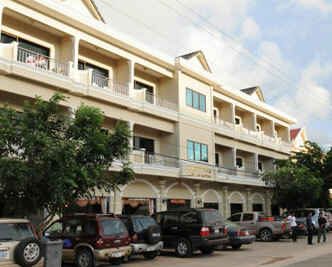 Welcome to Hotel Asian Koh Kong, a hotel with distinct difference. We offer our privileged guests 38 rooms including 8 suites. Each deluxe room and suite has been designed in classical style to complement the attention of details and standard of service expected by today’s discerning business traveler. Asian Koh Kong Hotel jave located #01 Village, Sangkat Smach Mean Chay Khmearak Phoummen City, Distance between 150 to 200 m from Koh Kong Bridge.